Canada, Australia, UK, Belgium, Netherlands, France, Germany, Spain, Japan, HK, Indonesia, China & more. 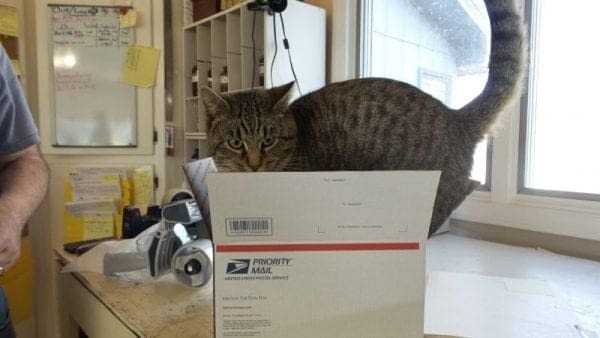 We ship weekdays (M-F) from our production and shipping facility in Western North Carolina, USA (517 Jim Creek Rd, Burnsville, NC 28714), mainly via USPS. Essential Oil Shipping to east of Mississippi usually arrive in 1-2 days. Shipments to West Coast usually take 3 days. Returns can be shipped to the same location. Even though we bottle, label, pack and ship only after each order is received in order to maintain maximum freshness. we are often able to ship orders on the first weekday after the order is placed. 90+% of orders are shipped within 1-2 day of receipt. We offer Free Shipping via USPS for all retail domestic orders over $50. Our preferred method of shipping is USPS Priority Mail Small Flat Rate Box with tracking. Base shipping rate for Priority Mail is $6.50. Standard First Class for less cost and other options are also available. International orders of essential oils and our other aromatherapy products are mainly shipped by USPS Express International but we do offer FedEx & DHL service too. Base cost for small (under 2 lb.) packages via USPS Express International is $65 and includes tracking, insurance to $200 and fast guaranteed delivery. Slower & cheaper alternatives are available but don’t always include tracking, insurance or fast guaranteed delivery. If you would like to explore the possibility of other less expensive International Shipping options, please leave us a message in the “Order Notes” field of the “Shipping Address” section on the checkout page. You may proceed to checkout with the default International Shipping options, and any price adjustments will be made in the form of a refund before your order is shipped, using your new shipping method.